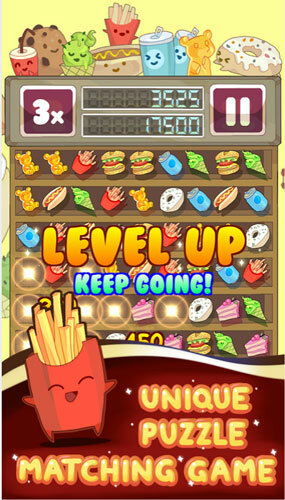 Vancouver’s Inkpad Studios  would like to invite you to match n’ munch your way through a delicious game of Mega Munchies , currently available for Canada and New Zealand. This tangy match-3+ puzzle game will be sure to leave you drooling for more. Swap out flavourful food items one at a time to link three or more scrumptious munchies and clear the board. Trigger a cascade of sizzling reactions, collect tasty bonus points, and devour your way to the top of the leaderboard. Become a fan on Facebook  or follow the game on Twitter  and get the latest news for Mega Munchies. 2 Comments To "Satisfy Your Late Night Snack Attack With Mega Munchies"